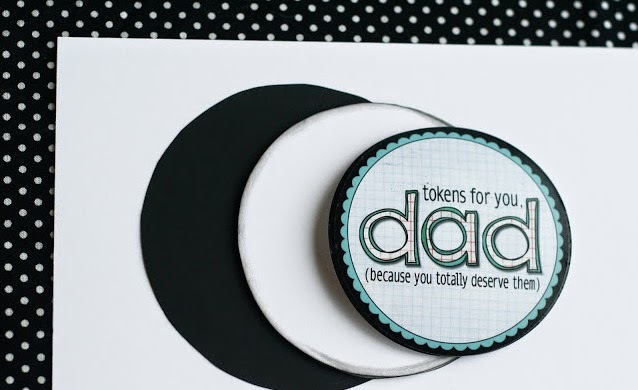 Instead of the usual coupons, why not give dad some fun tokens this year. 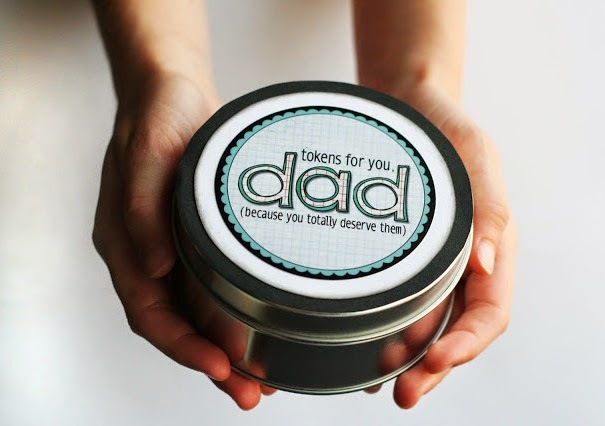 Step one: print your tokens, then punch out with 3" punch. Step two: trace and cut out white circles a little larger than your tokens. i used a large soup can. 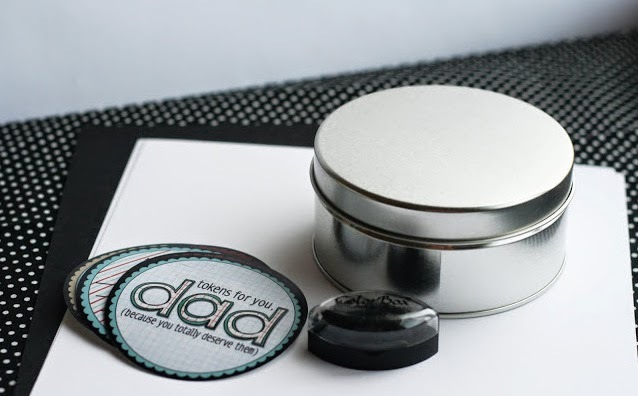 (you can probably use a cricut for this) then trace and cut out one black circle for the lid of your tin. this needs to be bigger than your white circle, but not bigger than the lid. Step three: ink the edges of your white circles. Step four: adhere tokens to your white circles. 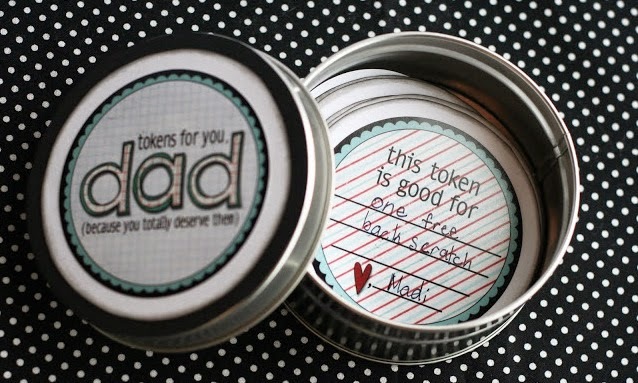 (adhere the black one for your lid) then have your child(ren) write things they are willing to do for their dad on the tokens. make sure to have them sign their names too.